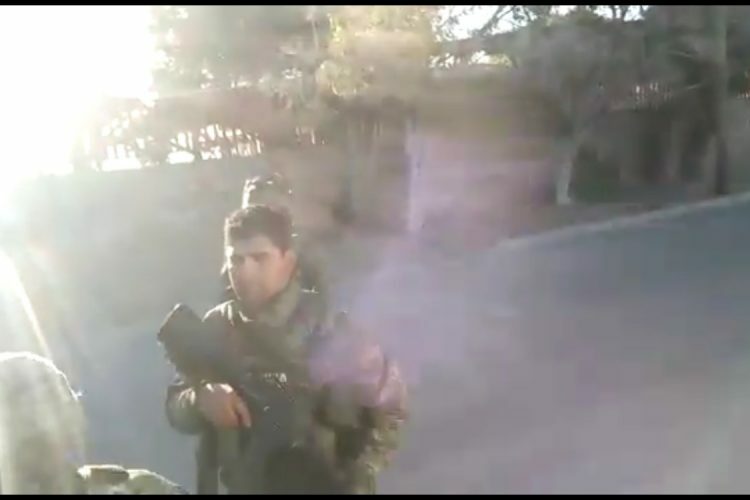 Marines shot a fisherman in Baja California, one day before the National Guard reform takes effect; amidst turmoil and confrontations over fishing rights in the protected Marine Sanctuary in the upper reaches of the Golfo de California. Mexicali, Baja CA: A San Felipe fisherman was shot and apparently badly wounded by elements of the Navy/ Marines around 07:00 this Thursday morning. Enrique García Sandez, 37, was wounded by sailors according to a video posted on Twitter. The events occurred on Gulf of California Avenue in the Port of San Felipe, reported the PGJE. A fisherman was shot by elements of the Navy in Baja California , reported the Ministry of Public Security and the Attorney General's Office. In the video you can also see how fellow fishermen try to grab the Marines and they allegedly fled shooting. The images of the video are strong and at the moment the origin of the video is unknown. "García Sandez he was injured in the Gulfo de California Avenue of Puerto San Felipe, without at the moment to disclose the reasons [...] The injured person has a wound in the skull, left forearm and right leg up to the femur it was transferred to the clinic of the IMSS [Mexican Institute of Social Security], in a private vehicle , " the PGJE informed in a press release. "This institution reports that, referring to the events that took place today in San Felipe, BC is currently gathering the necessary information to communicate in a truthful and timely manner," said Semar. 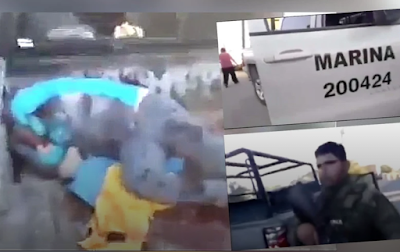 A fisherman named Enrique García Sandez, 37 years old, was injured after elements of the Secretariat of the Navy Navy of Mexico (Semar) shot him in the Port of San Felipe, a town located in the south of the municipality of Mexicali. in Baja California, as reported by the Ministry of Public Security and the State Attorney General's Office. "García Sandez was injured on Gulf of California Avenue in the Port of San Felipe, but for the time being they do not disclose the reasons [...] The injured person had a wound on the skull, left forearm and right leg at the femur, transferred to the clinic of the IMSS [Mexican Institute of Social Security], in a private vehicle, "the PGJE informed in a press release. In addition to Garcia Sandez's injury, there are at least three other people arrested and a car burned. In videos that were published in the various social networks, it can be seen when the fishermen protested the death of their partner, actions that the Federal Police indicated they are aware of. Regarding the armed confrontation, the Attorney General of Justice in the State, Perla del Socorro Ibarra Leyva said "we know there is an injured person who is being treated, we are in support of what the Department of the Navy asks us to do". Regarding the investigation carried out by the local Attorney General, he pointed out that the initial report received was of firearms detonations and an injured person, but that agents are conducting the pertinent investigations to find out how the events took place. However, he recalled that the complaints filed by the Secretary of the Navy are made before the General Prosecutor's Office of the Republic. During his visit last Tuesday to San Luis Río Colorado, Sonora, President Andrés Manuel López Obrador assured that he would support the fishermen. However, he did not detail how he would do it. For two years there has been a ban on the Port of San Felipe, which prevents the communities of the Gulf of Santa Clara, in Sonora, and San Felipe, BC, from obtaining economic resources. No mamenaces, pinchis pescadores la andan cagando. --But nooo, they just wanna go and have fun and obey their politician leader "that once hang with Kiko bergas and EPN"
Eso se sacan por andar ahi de calientes haciendole a la perrada con el Sunshine... Que chinguen a sus pinchis mothas. Seen a couple pictures of him posing with a gun, and in another photo he had a bundle of drugs. Not saying he wasn’t innocent but..
ugh the guy in the last video, acting all righteous about the sea and their labor when it's obviously clear that they are involved in crime and the chinese black market, then saying that the vaquita marina is being extinct by unrelated causes, OK.
Don't forget that PRI may be behind all those unions, as it always is. This has always been their style for destabilization. I'm not saying AMLO is right, but as a mexican living in my country I've been seeing this tactics for more than 30 years. Why they didn't get angry in the past years? Because bussiness was booming, there are lots of shady narco and chinese businesses and buildings all along the gulf of cortez's coastline and waters, another example: the seri people in Punta Chueca help some cartels trafficking since they are their own nation and that's been always known, it's almost part of their identity and I understand, I would also be resentful of the government if I was on their situation. These people who claim to be proud Mexicans are upset and willing to sacrifice an indigenous mammal of their country -- the vaquita's only habitat is Mexico, so they can make money from the Chinese. How is this patriotic? I could not imagine the Chinese would sacrifice their pandas just to make a buck. Sorry, I have no sympathy for these people. Would the USA let the Bald Eagle go into extinction for buck?